Two months ago, I spent a Sunday revamping my hair colour with my go-to hairdresser, Ellenora. We were able to try out L'Oréal's brand new #Colourfulhair range, a selection of eight bright, semi-permanent, professional colour products designed to provide thousands of different colour options - a huge bonus for those who love to let their colour do the talking (like me!). 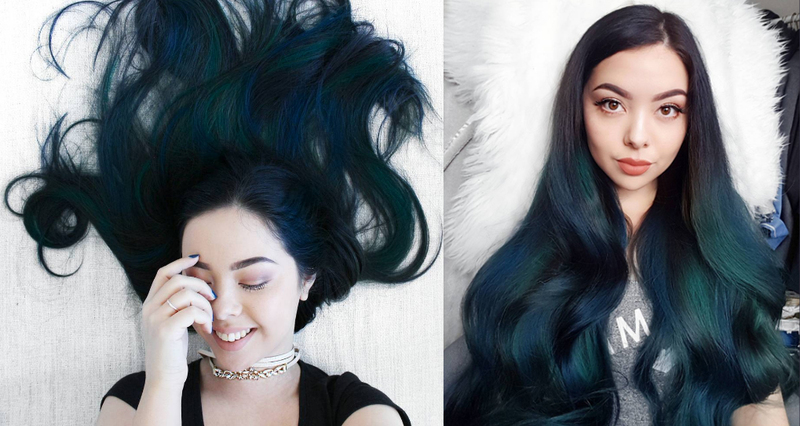 I've tried many different shades in the past, but after years of experimentation I've found out that cool tones suit me best, because they complement my cool-toned skin (if you need help on finding out whether you're cool or warm-toned, or neutral, a quick method is to look at the colour of your veins - green = warm, blue = cool, somewhere in between = neutral). This applies to makeup and clothing, too; however, as I see my hair as my best asset, it's important for me to get it right. With this in mind, Ellenora suggested a mix of dark blue and green shades, and as I trust her expertise, I was happy to go ahead. My hair was dyed before this experiment, so I had the colour removed using a stripper, followed by a Smartbond treatment to restore moisture and strengthen, before the #Colorfulhair was finally applied. We used Electric Purple (dark, purply blue) and Iced Mint (blue-green) in alternating strips to create the look, and although it wasn't a major change, I really loved how it looked - especially in natural lighting, where the colours were extra vibrant. Maintaining this look was a lot easier than the saga I've endured with other semi-permanent dyes. I thought this would wash out straight away, but the vibrancy lasted for around six weeks - that at least twelve washes, for me. My routine during this time involved using a professional shampoo, followed by an at-home Smartbond treatment; I then gently towel-dried my hair and applied eight-to-ten pumps of L'Oréal's Mythic Oil to my hair, before blow-drying straight. If I wasn't going anywhere special, I'd leave it at that - however, if I was preparing for an event, I would curl my hair, which made the colour even more vibrant due to the light bouncing off the curls. Do I prefer this to permanent colour? Probably not. 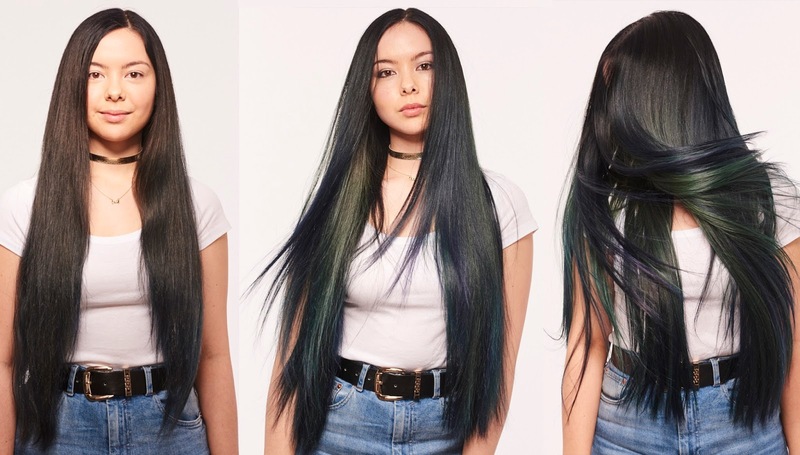 Although I adore the vast range of hues available within the #Colourfulhair range, the fact that the dyes stain everything they touch is a negative for me. I've had to bleach and scrub my shower floor every week, as well as change my pillowcases every couple of days (although I decided that using a sleep cap was far less effort). Another downside is that this range is salon-only. If I had short hair, I wouldn't really mind, as I could strip or change the colour as soon as I was bored with it. However, as I have long hair, it's just not cost effective for me to keep getting my hair done at the salon every time I want a colour change. For those of you with shorter hair (especially blondes) who love to change their colour in-salon, I would really recommend #Colorfulhair, as a talented colourist could make some really stunning, out-of-this-world colour combinations! A Great Big National Tea Day GIVEAWAY! Healthy Tea? Count Me In!